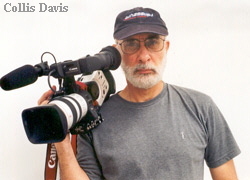 he film is a documentary by Collis Davis, on jazz pianist Weldon Irvine. It consists of a series of interviews, as well as footage of the artist in performance, and as he goes about other activities of interest. As I view the film, I am introduced to the various facets of Irvine's persona. Davis interviews a number of people who bring focus to these facets. A theaterâ€s artistic director discusses how she views the pianist's artistry and temperament. His grandmother recalls his childhood, which was spent on the lush campus of the Hampton Institute in Virginia. His martial arts instructor explains the nature of the discipline Irvine has chosen to learn, and how its practitioners undergo internal, spiritual development. The most revealing interviewee is of course, Irvine himself. Davis' questions bring out a number of issues, which Irvine tackles in a particularly articulate manner. Here, he discusses his struggle as an artist trying to find a place in the music industry; his work as a musical playwright, his work with jazz singer, Nina Simone, as well as non-musical elements of his life such as his interests in martial arts, weapons, and his use of horse race betting as a source of income. On the whole, the film has introduced to me, an extremely gifted artist, but one, it seems, who is evaded by the spirit of success. I see, through excerpts of one of his musicales, choral arrangements, his work as sideman of a jazz group, as well as a solo piano performance the exceptional talent he has honed. But I also see a certain loneliness, a sadness that pervades his being, which may speak of a complex character hidden deep within. Much of the documentary's footage seems to have been filmed in the seventies, but the end credits tell of Irvine's committing suicide in 2002 at the age of 59. It seems that this sadness I sensed from him was a constant companion. 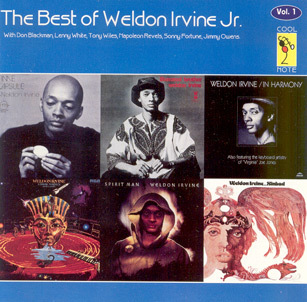 Wish to purchase The Edification of Weldon Irvine DVD-Video or VHS tape? Click here for the Order Page listing for ordering this DVD. © 2005-2018 Collis H. Davis, Jr.